Now that the Apple Watch bandwagon has reached its tipping point, the tech-loving masses are looking at the rest of the smartwatch field with a more objective outlook. While Apple and Google are promoting powerful wrist-computers that run cut-down versions of full smartphone apps, the Pebble Time Smartwatch takes a different approach, with a seven-day battery life and timeline interface that reduces app clutter to prioritize the things you really want. 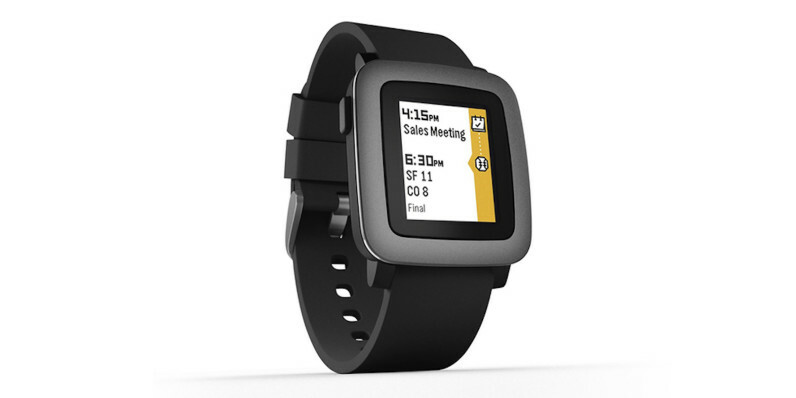 And with a price tag of $119.99 from TNW Deals, Pebble Time’s appeal just got that much sweeter. Pebble’s timeline interface turns moments you care about into pins that let you see what’s happening at a glance –notifications, calendar events, weather, sports scores, breaking news, missed calls, app alerts and more. Track your activity and even your sleep, with weekly summary notifications available. Timeline gives you the info you need, when you want it, helping you live life to the fullest. The thin, ergonomic design and color e-paper technology results in a great looking, always-on display, while the built-in mic adds the ability to offer quick voice replies and memos. The ability to add more functionality over time with its smart accessory port is guaranteed to prove rewarding as the platform expands. Pebble works with iPhone 4S and up, running iOS 8 or later, while also supporting all Android devices running 4.0 (Ice Cream Sandwich) or later. 30 meters of water resistance means you can jump in the pool, shower, or go running in the rain – Pebble Time can handle it. Pick up a Pebble Time Smartwatch of your own for 20 percent off from TNW Deals.